SA’s Nadira Lamrad presented her research, “CSR Trends in China’s Apparel Supply Chain,” at the FEI conference on March 2nd. The workshop generated some interesting questions and concerns surrounding education in CSR, and we’re hoping we can keep the conversation going here, so be sure to leave any comments and questions below. This entry was posted in Child Labour, CSR, Education, Empowerment, Environment, Equal Rights, Fair Trade, Fashion Design, Forced Labour, Freedom of Association, Gender Equality, Harassment or Abuse, Health and Safety, HIV/AIDS, Hours of Work, Human Rights, Labour, Nondiscrimination, Overtime Compensation, Responsibility, Social Conditions, Social Responsibility, Socially Responsible Design, Supply Chain, Torture, Transparency, Wages and Benefits on March 11, 2010 by Mary Hanlon. Yesterday we posted a link on our Facebook Fan Page on the tragic factory fire in Bangladesh on Feb. 25th that killed 21 workers (mostly women) and injured 31 more. Please help. No more needless and tragic deaths! On the night of February 25, a fire broke out at the Garib & Garib sweater factory in Bangladesh, leaving 25 to 30 workers trapped in the pitch darkness on the 6th floor. The emergency exit was locked and the other staircase was cluttered with bales of yarn and boxes. The workers, 16 of them women, died of smoke inhalation. Thirty-one workers on the lower floors were also injured. 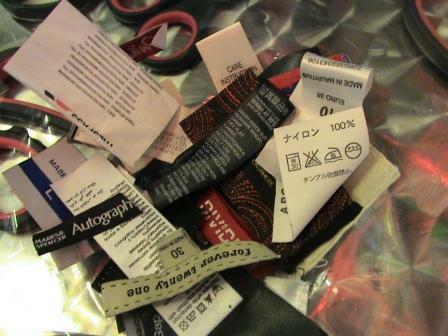 The factory produces for H&M, Mark’s Work Wearhouse (Canada) and, according to H&M, Terenora of Italy and Zemman of Spain. The workers are asking us to support their demands to the companies (attached) in order to guarantee the health and safety standards and labor rights will finally be respected. This entry was posted in CSR, Equal Rights, Fair Trade, Fast Fashion, Health and Safety, Human Rights, Labour, Responsibility, Social Conditions, Social Responsibility, Supply Chain, Torture, Transparency on March 5, 2010 by Mary Hanlon. 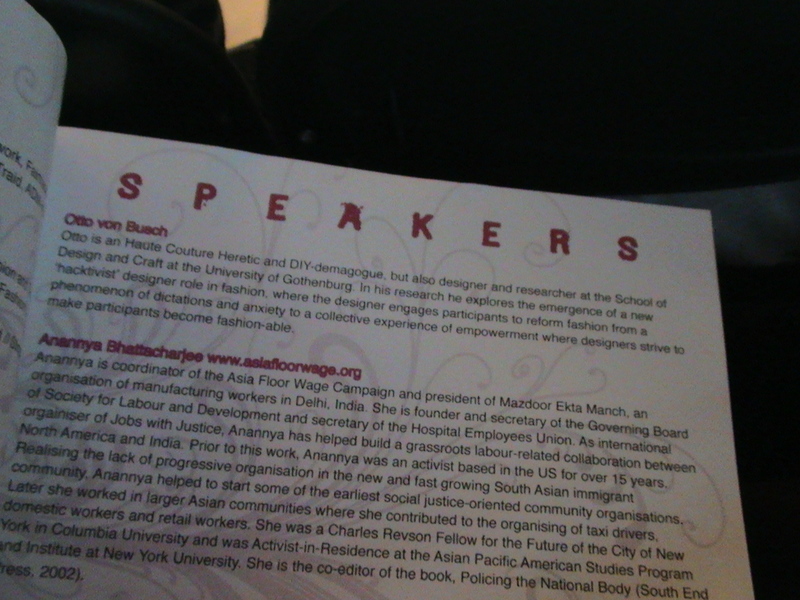 One of the headliners at the conference was Otto von Busch (Haute-Couture Heretic – critically hacking and re-forming the operating system of fashion and the industrial modes of production). The presentation “Hacking Fashion” was absolutely fabulous, and when it came time for Otto to close his presentation, nobody wanted it to end! Investigating ‘rituals of fashion,’ Otto discussed the role of fashion in activism and asked: are we still open to invest emotionally in fashion? With fashion week, we celebrate the arrival of spring, and then when the new season comes into play, we ritualistically slaughter off the old to celebrate the new. According to Otto, designers believe in intelligent design, meaning that what they do is extremely unique. Why do we slaughter fashion at the end of fashion? What does this repetitive ritual mean? Has the emotion been lost? 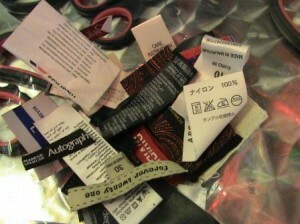 Other questions surrounded the consequences of the democratization of fashion, and so much more. This is just a small reflection on Otto’s presentation. Stay tuned for a full roundup of Hacking Fashion: How can we participate in fashion differently to build an industry that nurtures both maker and wearers? In the meantime, check out >self_passage<, a project that explores empowerment, self-development, and personal growth through fashion. 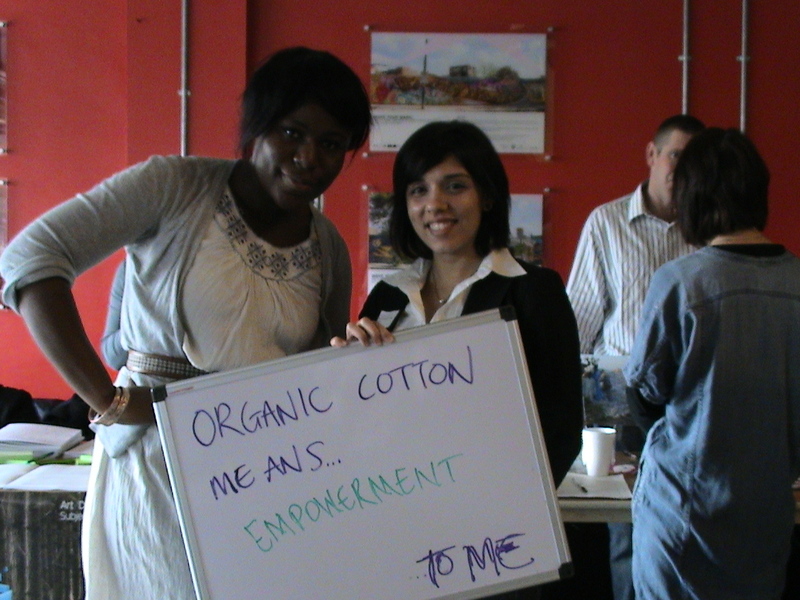 This entry was posted in DESIGN, Environment, Fair Trade, fashion, Fashion Design, Fast Fashion, Garment Disposal, Human Rights, Labour, Product Design, Responsibility, Social Responsibility, Supply Chain, Torture on March 2, 2010 by Mary Hanlon. Last fall, a high-level International Labour Organization (ILO) mission went to the Philippines to investigate “serious allegations of the murder of trade unionists, death threats, arrests of trade union leaders in connection with their trade union activities, widespread impunity relating to violence against trade unionists and the militarization of workplaces in export processing zones (EPZs) and special economic zones”. Their report is due to be released next month. Unfortunately, violence and judicial persecution of trade union leaders and activists is continuing. Below, we urge you to support workers’ rights to freedom of association and collective bargaining by taking part in two action campaigns by labour and human rights promoters that highlight the continuing pattern of abuse of worker rights in the Philippines. Karnation Industries: Twenty workers at Karnation Industries were arrested during a 2007 strike against the illegal dismissal of union members, the non-payment of holiday pay and night bonuses, as well as a salary that was only half of the minimum wage at the time. They have spent two and a half years in prison, during which time two workers died from tuberculosis contracted since their incarceration. 14 workers were temporarily released on bail in November of 2009. Four of the workers remain in prison. All of the surviving workers are still facing charges, and the company has filed a motion to reverse the bail decision and return all of the workers to prison. Join the Asia Human Rights Committee in protesting the continuing judicial persecution of the Karnation 20 here. Dole Food Company: Managers at a Dole pineapple plantation in the Philippines have worked with the military on an intimidation campaign against an independent workers’ union and their democratically elected union leaders for the past four years. Workers who met recently with an International Labor Rights Forum (ILRF) representative have been fired or suspended. Join the ILRF in protecting the rights of Dole workers to freedom of association and collective bargaining here. Join the Maquila Solidarity Network and support the continuing efforts of labour and human rights workers on the ground. This entry was posted in CSR, Education, Freedom of Association, Harassment or Abuse, Health and Safety, Hours of Work, Human Rights, Labour, Overtime Compensation, Responsibility, Social, Social Conditions, Social Responsibility, Supply Chain, Torture, Transparency, Wages and Benefits on February 28, 2010 by Mary Hanlon. In 2009, SA’s Katrine Karlsen reported on CSR Asia’s 7th summit “Sustainable Business as the Road to Recovery” in Kuala Lumpur, Malaysia. Click here to read Katrine’s synopsis of last year’s summit. This entry was posted in Aid, Child Labour, Conferences, CSR, Education, Empowerment, Environment, Equal Rights, Events, Fair Trade, Forced Labour, Freedom of Association, Gender Equality, Harassment or Abuse, Health and Safety, Hours of Work, Human Rights, Labour, Nondiscrimination, Overtime Compensation, Responsibility, Social, Social Conditions, Social Responsibility, Student Education, Supply Chain, Torture, Transparency, Tutor Education, Wages and Benefits on February 14, 2010 by Mary Hanlon. 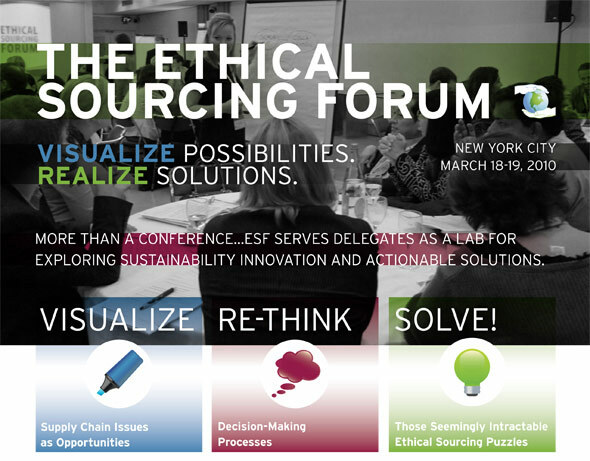 The Ethical Sourcing Forum is a unique industry event that brings together members of the global sustainability community in order to address emerging sustainability and ethical supply chain challenges. Day 1: Thursday, March 18th, 2010. The Arc of Sustainability Progress: What have we achieved, where are we going and where do we need to be? 4:30 PM – 5:30 PM: Panel Disussion: What Combination of Strategy and Tactics Really Drives CSR Progress? A hands-on collaborative sustainability decision-making / solution session involving the technique of reframing – a model for examining challenges from multiple stakeholder vantage points in order to uncover previously unseen perspectives and decision paths. This entry was posted in Child Labour, Conferences, CSR, Education, Empowerment, Environment, Equal Rights, Events, Fair Trade, Forced Labour, Freedom of Association, Gender Equality, Greenwashing, Harassment or Abuse, Health and Safety, HIV/AIDS, Hours of Work, Human Rights, Labelling, Labour, Landfill, Lifecycle Analysis, Nondiscrimination, Overtime Compensation, recycle, Reduce, Responsibility, Reuse, Social, Social Conditions, Social Responsibility, Student Education, Supply Chain, Torture, Transparency, Tutor Education, Upcycle, Wages and Benefits, Water on February 13, 2010 by Mary Hanlon. “The World of Apparel Sourcing 2010-2012 looks at the trends that influenced apparel sourcing between 2007 and 2009 and reviews which of them are likely to change between 2010 and 2012. It then makes detailed forecasts for the net effect on apparel exports from over 60 countries in 2010, 2011 and 2012.” (Clothesource) Click here to download the Management Summary, and to purchase the report. Recently, on their blog, Clothesource Comments, Michael Flanagan outlined “The Twelve (Probable) Laws of Apparel Sourcing from 2010 to 2012” (in twelve separate posts). Here is just the beginning of each (probable) law of apparel sourcing, to wet your appetite and encourage you to read-up on them. “The real impact of the recession so far, though, has been on financially weak factories. “Pricing is the central issue in sourcing. And it’s often misunderstood. “Clothing manufacturing in surprisingly many countries is threatened by proposed changes in duty-free arrangements, or by political instability. And China’s growing strength is putting growing pressure on the viability of many others’. Be sure to follow Clothesource to make sense of it all. This entry was posted in Arms Control, Child Labour, Consumer Education, CSR, Debt, Education, Empowerment, Environment, Equal Rights, Fair Trade, Forced Labour, Freedom of Association, Gender Equality, Greenwashing, Harassment or Abuse, Health and Safety, Hours of Work, Human Rights, Labelling, Labour, Nondiscrimination, Overtime Compensation, Responsibility, Social, Social Conditions, Social Responsibility, Student Education, Supply Chain, Torture, Transparency, Tutor Education, Wages and Benefits on January 20, 2010 by Mary Hanlon.